From Paramanu to Airlift, Bollywood has recently been on an overdrive to put the glorious chapters of Indian defense system on the celluloid. While most of them cash in on the patriotic sentiments and are able to register new box-office records, they are almost inevitably, critiqued by a school of thought who find the tone of the films aggressive. Is Uri aggressive? Yes. But is it problematic? Perhaps, for once, no. The wounds of the Uri attack are so fresh in our memories and the rage so present, that its impossible to find salvation in the narrative of the film. Whatever room is left for doubt is taken care of by a film that is makes us as proud about the craft of filmmaking as our soldiers. Aditya Dhar, who I seriously can’t believe is making his debut with this one, has developed a film that taut, gripping, amazingly well shot and a absolute winner in all aspects. 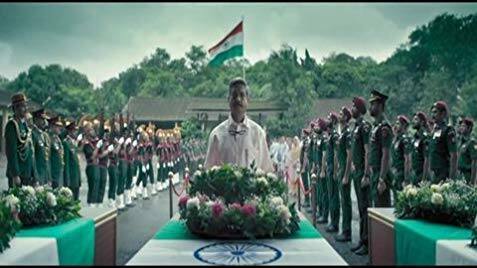 To talk about the performances, Vicky Kaushal is truly the miracle of nature. His hard work and training is visible in every step he takes, every combat moves he makes, every angle of his ammunition handling. 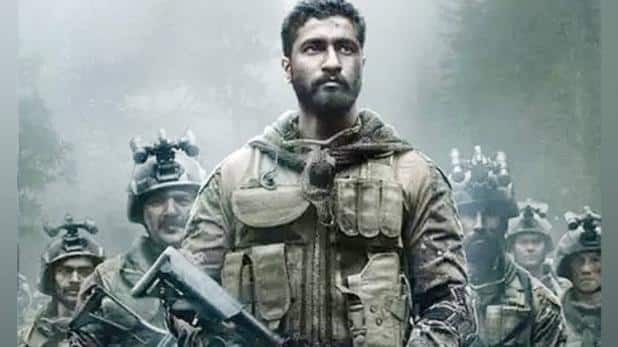 Also, every actor who ever thought that looking beefed up and excelling in combat and action scenes is all it takes, let Vicky Kaushal prove you wrong. Sometimes even in the same frame he is stoic yet vulnerable. He screams in passion and anger, and breaks down but not for a second goes out of his character. Honestly, I neither have the capability nor the vocabulary to comment on his performance. Yes, it is that superlative. The rest of the cast, gives the exact amount of support that was needed. Paresh Rawal, Yami Gautam, Mohit Raina, Mansi Parekh, Swaroop Sampat , Kirti Kulhari and of course Rajit Sharma delivers perfectly in their given space. Even Rukhsaar Rehman, in a very small role, leaves an impact. The screenplay of the film is another superlative element. From the first frame to the last, there isn’t a single second where you are not gripped by the narrative. Sub plots, which might seem a little irrelevant to some, is also done with so much conviction that it does not slows down the pace of the film. More than anything else, it is an extremely taut thriller. The fine balance between action and drama never goes off and as a result the impact super powerful. Despite all the technical details, the right amount drama makes sure that it does not feel like a documentary. Uri succeds exactly where Omerta failed. Director Aditya Dhar, has truly got to great lengths to research the entire incident and got into the minute details of the inner workings of bureaucracy and army. It is for this reason, even when the patriotic sensibilities are pitched at the slightly higher note, it does not look out of place or problematic. Because the whole film is from the point of men in uniform, it justifies the pitch and aggression. The film also greatly benefits from the excellent cinematography. Despite being shot extensively in Serbia, they are able to convince that it is indeed the crisis Indo-Pak border. The sweeping panoramic shots or the high octane action sequences, things look uncomfortably real and thus have a great impact. It is not easy to mount a film on this level about one of the most sensitive diplomatic decision the country has ever taken. Forgetting the intellectual debate on the implication of the decision, for once, fades into the background, simply because Dhar has a vision that is resolute and a craftsmanship that translates to an Indian film that we are incredibly proud of, both as film lovers and Indians.